Crafting Incredible Smiles – One Person at a Time! Investing in a beautifully healthy smile is a wise choice: Your best smile is an asset that will stand the test of time, boost your self-confidence, and make a wonderful impression on others. 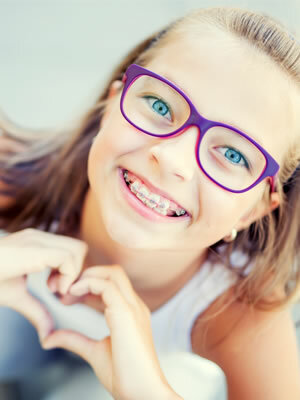 If you’ve been considering orthodontic treatment for yourself or your child, Dr. Benkovich and the Benkovich Orthodontic team are ready to help! What’s Different About Benkovich Orthodontics? We’ve served the Annapolis and Chester areas since 1996, and established a stellar reputation for exceptional customer service and an amazing orthodontic experience. Combining innovative treatments, leading-edge technologies, and our years of experience, we’ll soon have you sharing the radiantly healthy and confident smile you deserve! Convenient, Family-Friendly Treatment. Dr. Benkovich and our team have arranged our offices to be warm and welcoming, from our friendly front office staff to our personable and talented clinical team members. We will work with you to identify the right treatment approach for your situation; offer same-day, early-morning, and after-school appointments; and have virtually no wait times. We also offer family discounts and love crafting perfect smiles for children and their parents — at the same time! Advanced Technologies. We utilize leading-edge technologies, including the iTero® Digital Impression System, for diagnostics and treatment planning. Digital impressions are fast, comfortable, highly accurate, and viewable almost instantly. We’re able to show you what’s happening in your mouth and explain how treatment will change your smile, right then and there. Aesthetic Orthodontic Options. While many adults yearn for more becoming smiles, they may hesitate to seek treatment out of concern for how they’ll look while straightening their teeth. Benkovich Orthodontics offers several cosmetic treatment options, including Invisalign® clear aligners, as well as clear braces. These innovative processes allow teens and adults to achieve incredible smiles without worrying about their appearance during treatment! The Benkovich Orthodontics Satisfaction Guarantee. 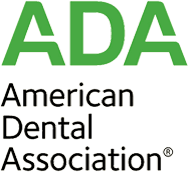 We’re so certain you’ll love your new smile that we offer a 100% satisfaction guarantee! Please ask for details at your Benkovich Smile Assessment. Schedule Your Benkovich Smile Assessment, Today! The first step on your journey to a lifetime of confidently beautiful smiles is a complimentary, no-obligation consultation with Dr. Benkovich. Please contact our Annapolis or Chester, MD orthodontic office to schedule yours. We serve the communities of Crofton, Davidsonville, Edgewater, Easton, and Centreville, and can’t wait to serve you!